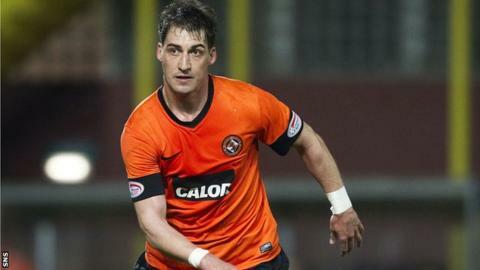 Dundee United will not extend Rudi Skacel's contract beyond the end of January. The 33-year-old Czech Republic international midfielder moved to Tannadice on a short-term deal in late October. And he has played in 16 matches for United, scoring once. Skacel, who played for Slavia Prague, Marseille and Southampton, had two periods at Hearts, scoring twice in last season's Scottish Cup final win. Prior to joining United as a free agent, the playmaker had been training at Tynecastle. But a signing embargo imposed on Hearts by the Scottish Premier League for late payments to players was extended to December. The ban at Hearts has since been lifted but the Edinburgh club are currently restricted to bringing in players under the age of 21.